The UK's favourite training tyre. 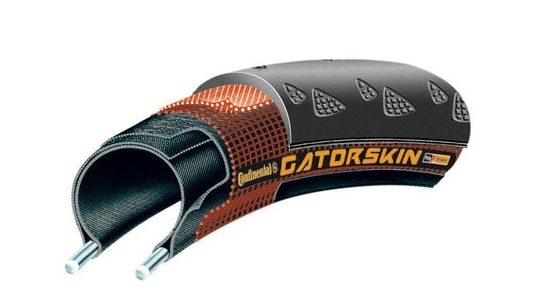 A durable, fast yet tough tyre at a really nice price. The Duraskin® external mesh forms a protective shield over the entire casing to help prevent cuts, punctures and abrasions. The slick German made natural rubber tread is designed to perform well in wet/wintery conditions. Intended for high mileage winter training for serious cyclists.